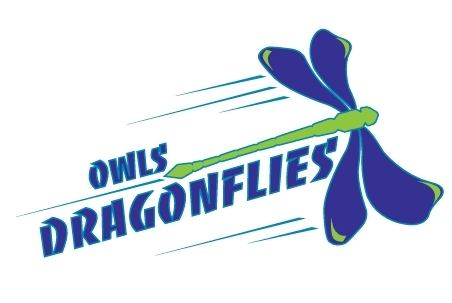 The Oregon Women Lawyers (OWLS) Dragonflies Dragon Boat Team traces its origins back to 1995, when students and professors from Lewis & Clark Law School formed the Scales of Justice dragon boat team to compete in the Portland-Kaohsiung Sister City Association Rose Festival Dragon Boat Races. From there, in 1999, several female alums (now attorneys) organized under the sponsorship of Oregon Women Lawyers and recruited their friends and colleagues as benchmates to form the OWLS Dragonflies as it exists today. ​The OWLS Dragonflies practice year-round and compete in several regional races, all while maintaining busy professional lives. Team members practice in just about every area of law. In addition to the attorneys (and sometimes judges) on the team, OWLS Dragonflies members are paralegals, legal assistants, and other law-related professionals. The OWLS Dragonflies are benchmates in the boat, but may appear on opposite sides in the courtroom. They advocate as hard as they paddle, and several members have said that having personal relationships with fellow paddlers after work increases the likelihood of resolving disputes amicably during their day job. If you are interested in participating in this addictive sport, please contact us for more information. We typically recruit in the fall and early spring, well before race season starts.